Chinese people appear to be losing interest in a controversial American visa program that has funneled billions of dollars to U.S. real estate developers. For years, Chinese citizens have overwhelmed the EB-5 program, which grants U.S. green cards to foreigners who sink at least $500,000 into investments that create jobs. Their enthusiasm for the program -- often referred to as the "golden visa" -- has resulted in tens of thousands of applications. But people in the industry say they have witnessed a significant drop in Chinese demand for the visas this year because of long waits and Beijing's efforts to make it harder to move money out of the country. "China is a victim of the popularity of the EB-5 program," said Ronald Klasko, an immigration lawyer based in Philadelphia. 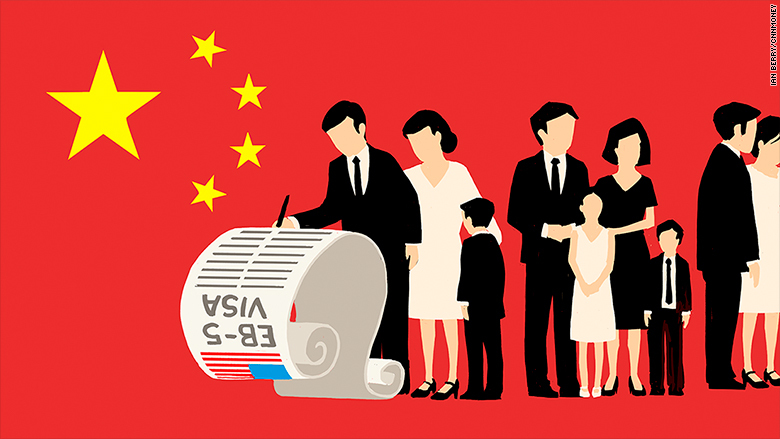 The visa program appeals to wealthy Chinese citizens as a way to move money out of the country and also to secure better opportunities for their children. The surge in interest in recent years has caused a massive backlog, meaning applicants now have to wait many years for a green card. That situation -- combined with Beijing's efforts to limit money flowing out of China -- is making some potential investors think twice, experts say. The increased wariness comes amid uncertainty over the future of the EB-5 visa. It was set up in 1990 to boost the U.S. economy but has been criticized for lacking transparency and channeling money into wealthy urban areas. The program became an important source of cheap funding for U.S. real estate developers after the financial crisis made banks reluctant to lend money for construction projects. Chinese people snapped up 80% of the visas issued under the EB-5 program in the past two years, according to a CNNMoney analysis of government data. But those applying now may have to wait at least 10 years to get the green card because of the huge backlog, according to the U.S. Department of Homeland Security. 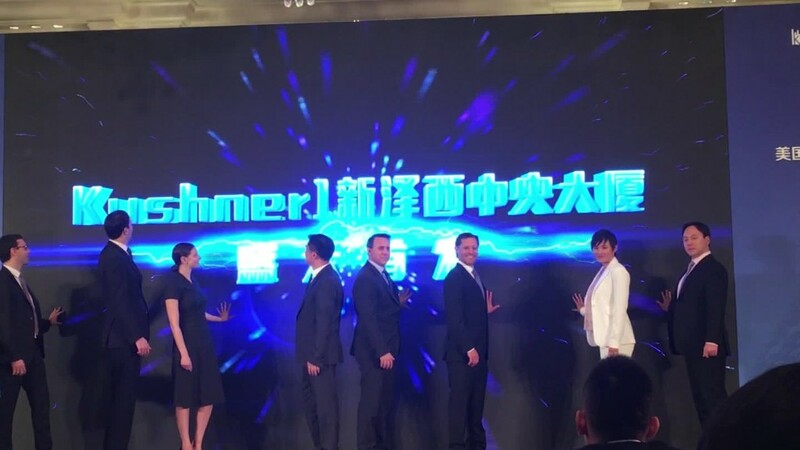 That's putting off potential investors such as Ms. Li, a Beijing resident who attended a marketing event organized by Chinese immigration agency Qiaowai last month. "I feel like it's not sensible to have to wait so many years for the green card," said Li, who hoped to help her son snag a green card through the program and send her grandson to school in the U.S. She declined to be identified by her full name for privacy reasons. Getting American residency for children is a major motivation for many Chinese EB-5 applicants (alongside a desire to escape pollution, food safety issues and political uncertainty, lawyers say.) But the long waiting time could mean children will be too old to qualify automatically for a green card. "With the 10-year wait, if the child is 14 years old today and they do an EB-5 case today, it may already be too late," Klasko said. "The child would be over 21 and therefore ineligible to get a green card with the parents." Investors in the program, which issues a maximum of 10,000 green cards a year, don't get their money back until they obtain permanent residency. If the investment goes sour, they can lose their money altogether. A number of reform proposals have been floated in Congress for years, which has kept the program running beyond a series of previous expiration dates. It's currently set to end on December 8. 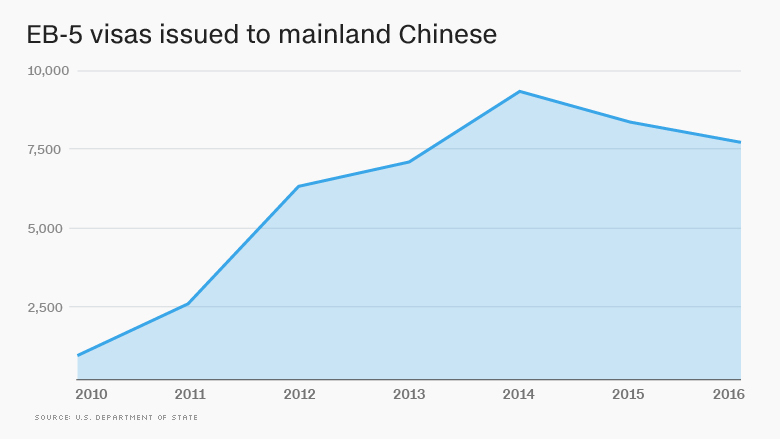 Beyond the long wait, potential Chinese investors face other hurdles, including the Chinese government's tightened restrictions on moving money out of the country and uncertainty over Trump's immigration policies. Vanessa Piao said she feels lucky to have gotten the EB-5 paperwork processed last fall, before China stepped up scrutiny of money leaving the country. To raise the cash, her family sold an apartment in Beijing. Then they pooled 13 relatives' annual quotas for moving money overseas in order to eventually transfer the funds to the U.S.
"It's almost impossible to get the money out through the way I did," Piao said. "Many people aren't waiting and seeing anymore; they simply give up." Gary Pan, a New York-based immigration lawyer whose clients are mainly from China, estimated that he'll handle at least 30% fewer EB-5 cases this year. Some real estate developers are also noticing a shift. Zhang Xun's Chicago-based company has built seven residential buildings in Oklahoma using Chinese EB-5 funding. He said he spent 80% of his time on EB-5 projects in 2015. But he hasn't taken on any this year because of uncertainty about the program. The problems don't mean Chinese interest has evaporated entirely. "The EB-5 program continues to attract high net-worth foreigners on a worldwide basis, and disproportionately from China," the Office of the Citizenship and Immigration Services Ombudsman said in its latest report. The overall number of applications is up this year, but experts say that's because other countries are more than compensating for the decline from China.